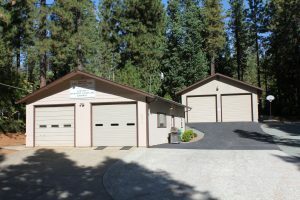 Amador Fire Station 111 is located in Pioneer CA, 19 miles East of Jackson off Highway 88. At an elevation of 3,200 feet with mountain setting and snowy winters. Station 111 is staffed year around with paid staff and volunteer’s with Engine5111, and Watertender 5116.